Soaring house prices send Canadians' net worth up. 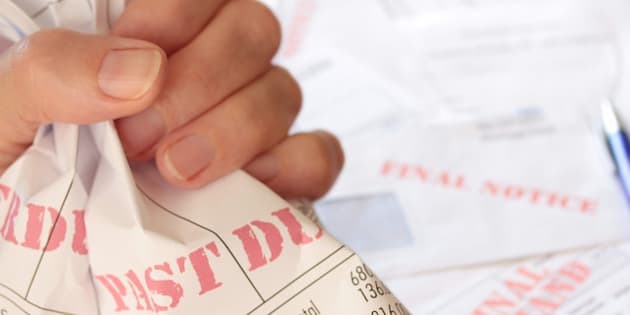 OTTAWA — Statistics Canada says the ratio of household credit market debt to disposable income edged down in the first quarter. The agency says the ratio was 165.3 per cent for the first three months of 2016, down from 165.4 per cent in the fourth quarter of last year. That means households held $1.65 in credit market debt for every dollar of disposable income. 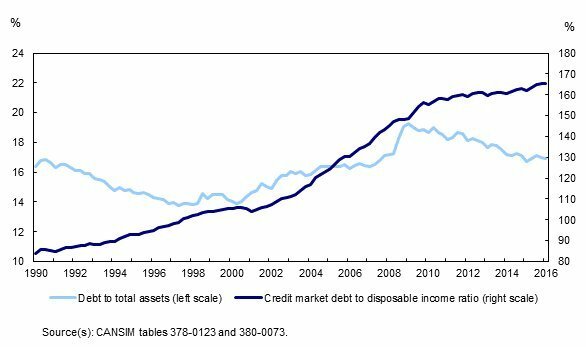 Statistics Canada says disposable income and household credit market debt increased at nearly the same rate in the quarter. The report also says household sector net worth rose 1.2 per cent in the first quarter to $9.633 trillion, driven by gains in the value of real estate. Total household credit market debt, which includes consumer credit, and mortgage and non-mortgage loans, totalled $1.933 trillion at the end of the first quarter.